Based on the skills of our experienced professionals, fame bring forth an extensive range of "Jumbo Bags Special Export Pallets". The offered Export Pallets are Specially designed for Jumbo Bags Export Packaging. 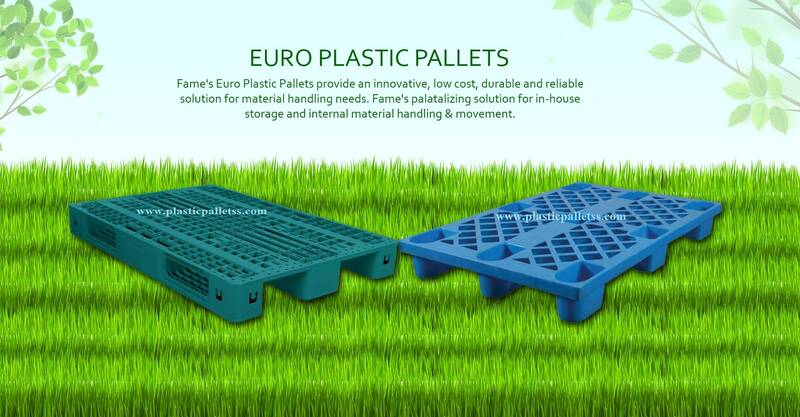 These pallets are manufactured from Injection moulded Process by using High Density Polyethylene(HDPE) material with ultra-modern technology as per market established norms and is designed with four-way Entry, Stackable to save space and fully recyclable with Heavy Duty Strength. Jumbo Bags Export Pallets are widely being used for export of jumbo Bags in very safe, reliable, and efficient manner and Logistics purposes. Offered Jumbo Bags Export Pallets are known for best Quality, Rigid Construction and weight load performance for different bulk bag base dimensions. Provided Export Pallets, shipping pallets, cargo pallets, euro pallets are very much praised by our clientele due to their unmatched quality and attractive designs hence we have maintained dedicated stock system for them. Furthermore, our clients can avail this pallet at most affordable price.